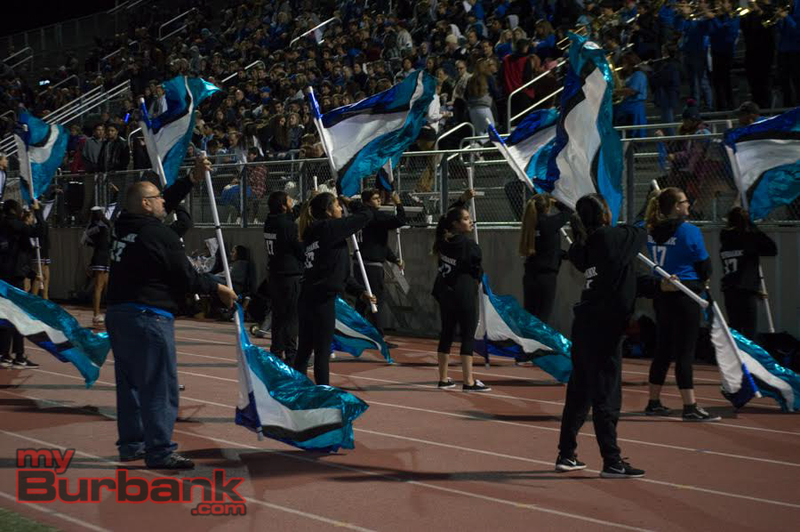 The journey is not yet complete, but the Burbank High football team cemented itself as the greatest in school history Friday by defeating visiting Don Lugo of Chino 44-14 in the semifinals of the CIF Southern Section Division 8 playoffs at Memorial Field. 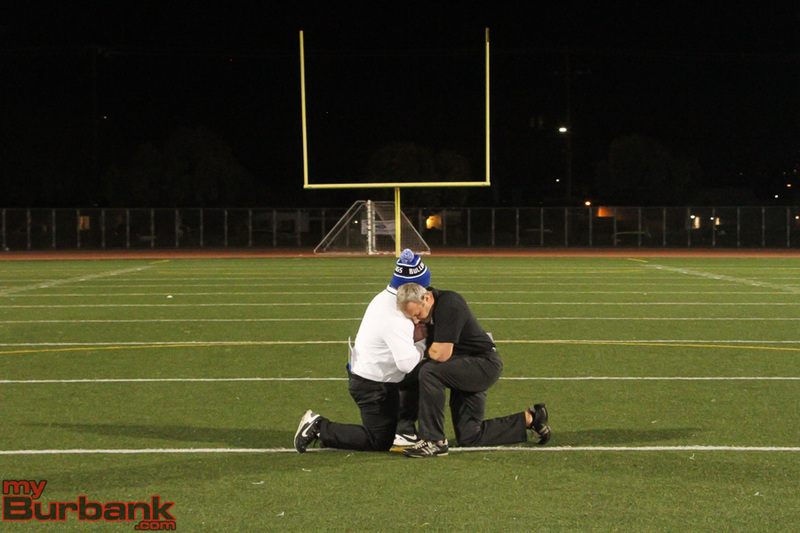 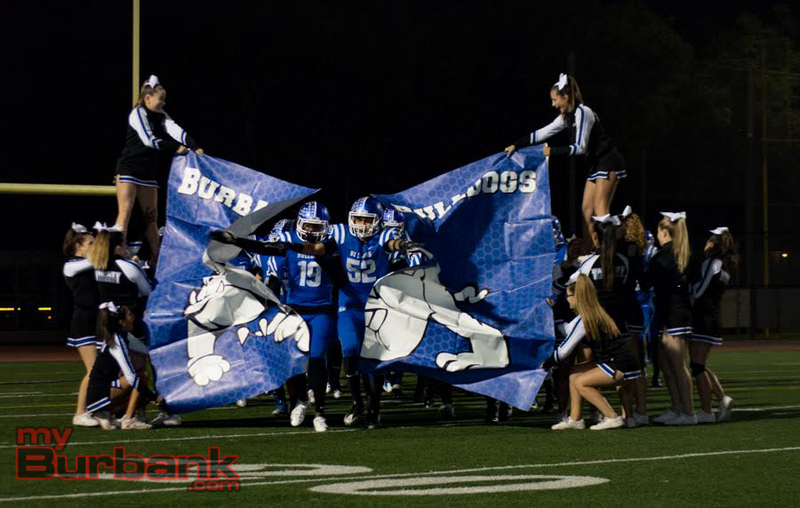 As a result, Burbank will play at Yorba Linda High on Friday, Dec. 2 at 7 pm to decide the CIF championship. 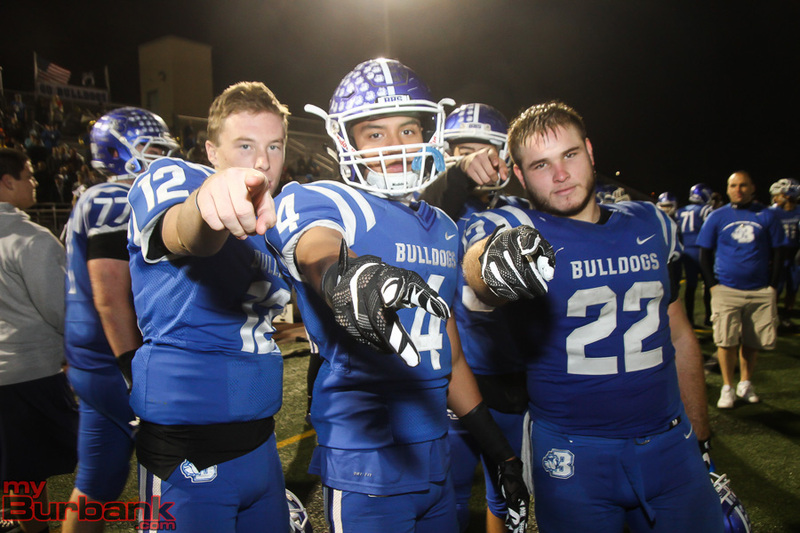 The Bulldogs are making their first finals appearance in the more than 100-year history of the school. 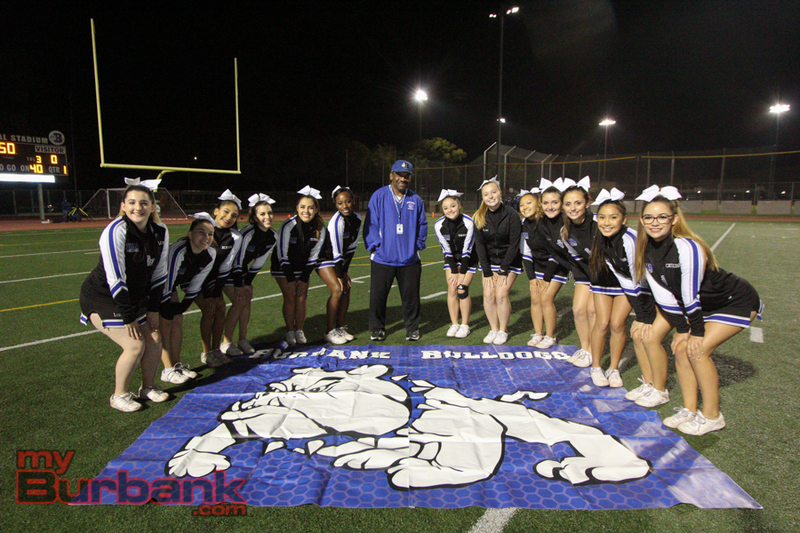 Burbank coach Richard Broussard pointed to a key moment in the season when he said his team changed its attitude after losing to Crescenta Valley, which was the eventual Pacific League champion. 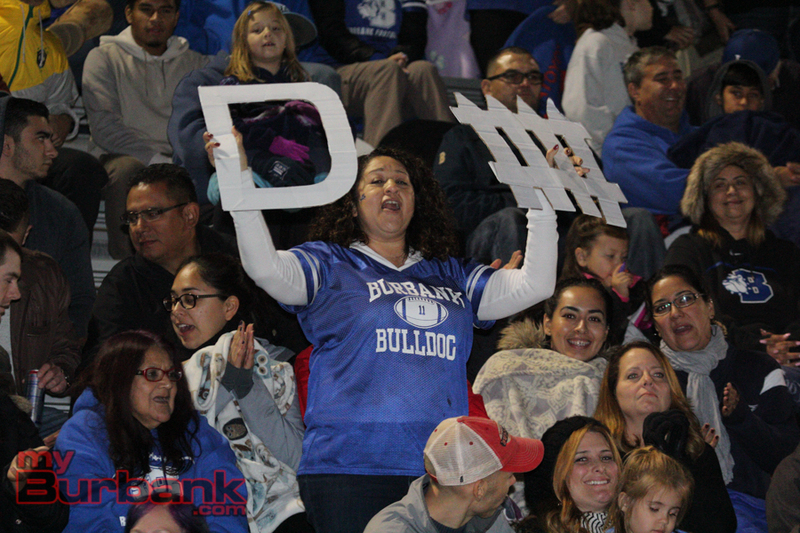 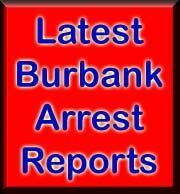 Burbank (10-3) opened up to a 27-0 halftime lead and were never seriously threatened. 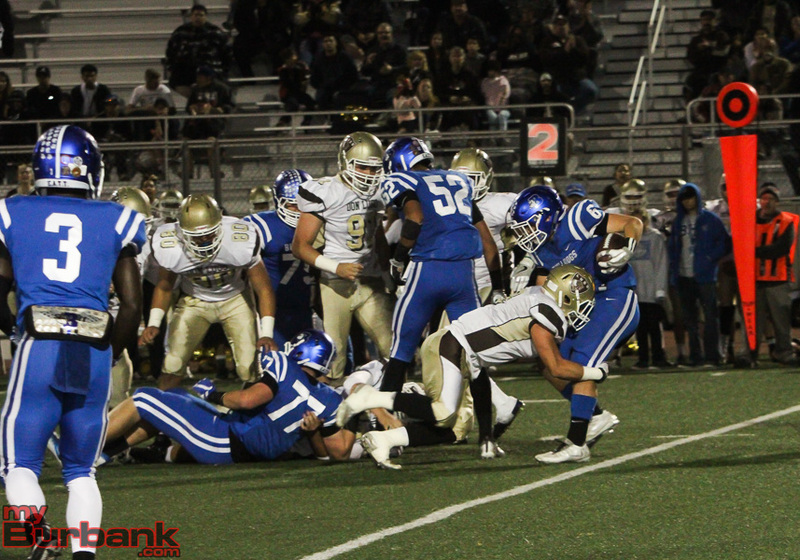 Nick Warren scored on a four-yard run with 7:13 left in the first quarter to get things started. 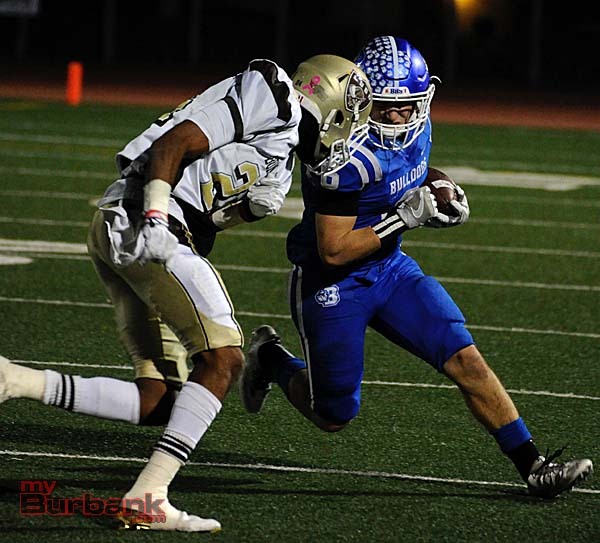 Guy Gibbs hooked up with Drew Pendelton on a 28-yard touchdown on the third play of the second quarter to make it 14-0. 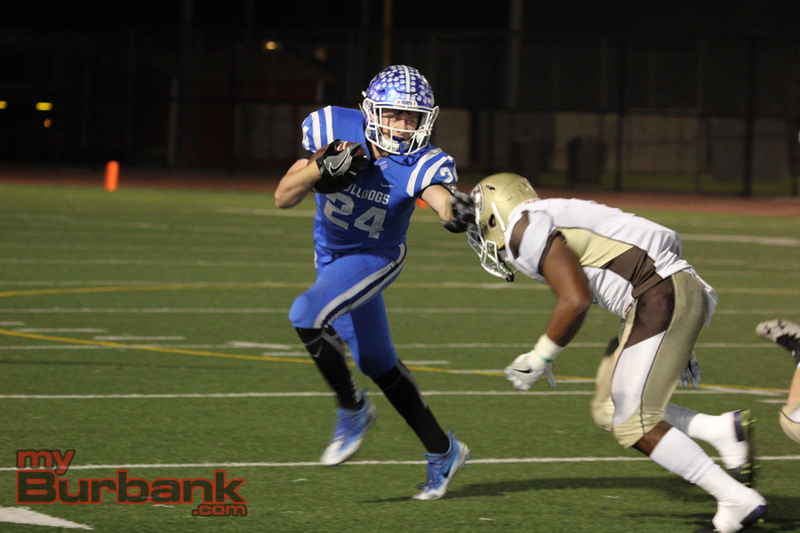 Jake Kelley picked up a fumble and went 13 yards into the end zone to open the lead to 20-0 with 3:46 left in the first half. 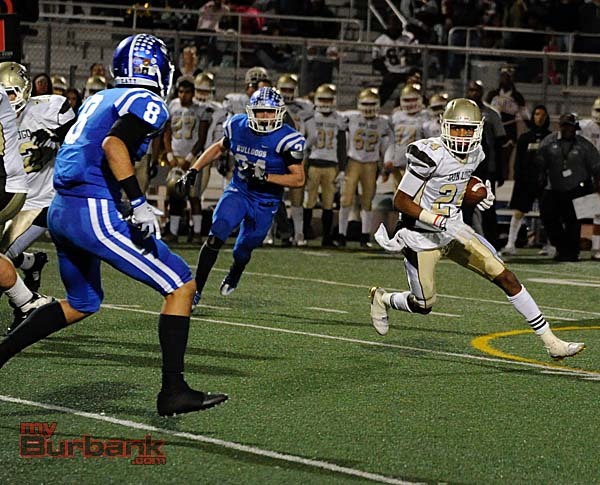 On Don Lugo’s next drive, sophomore Duncan Smith intercepted a Rudy Garcia pass and it back 24 yards for a touchdown make it 27-0 with 2:50 left in the first half. 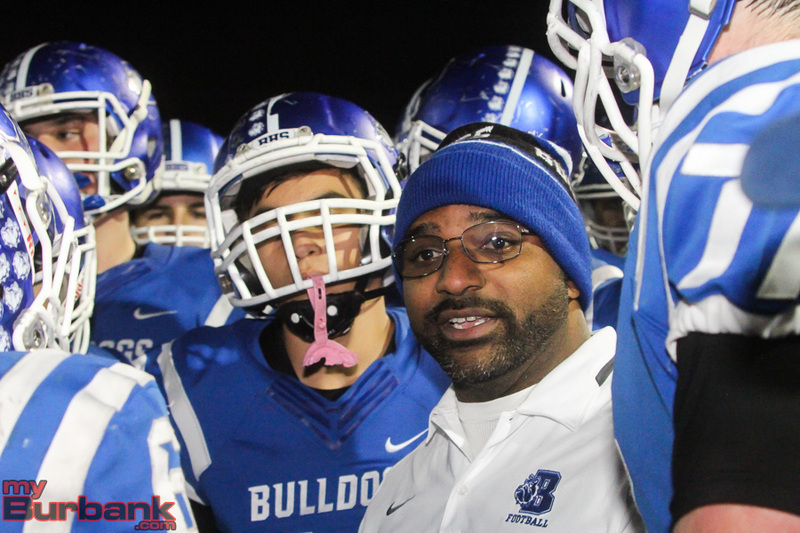 “Our team is all about having fun and playing as a family. 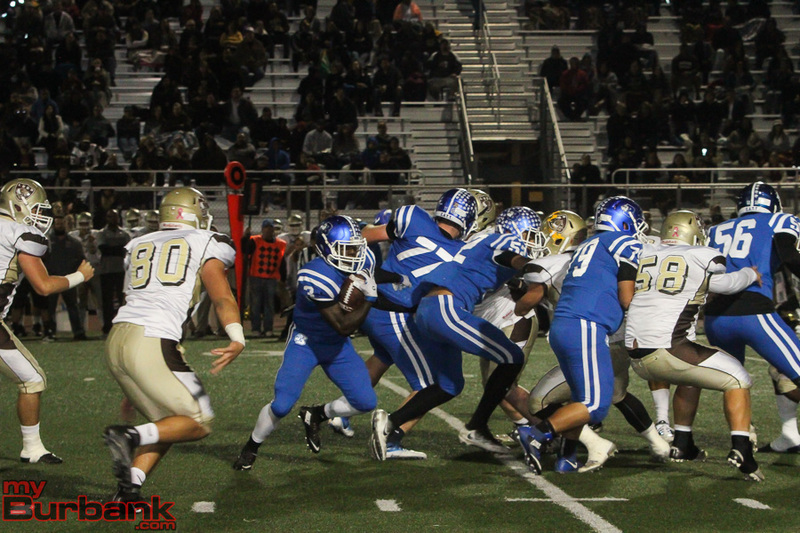 What we did in the first half,” quarterback Guy Gibbs said. 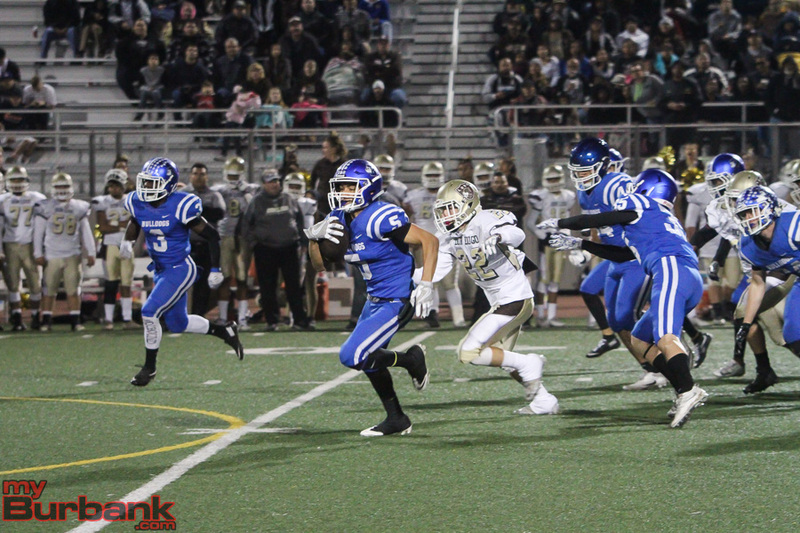 “We want this more than anything. 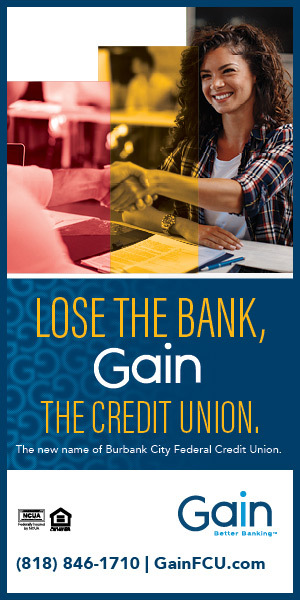 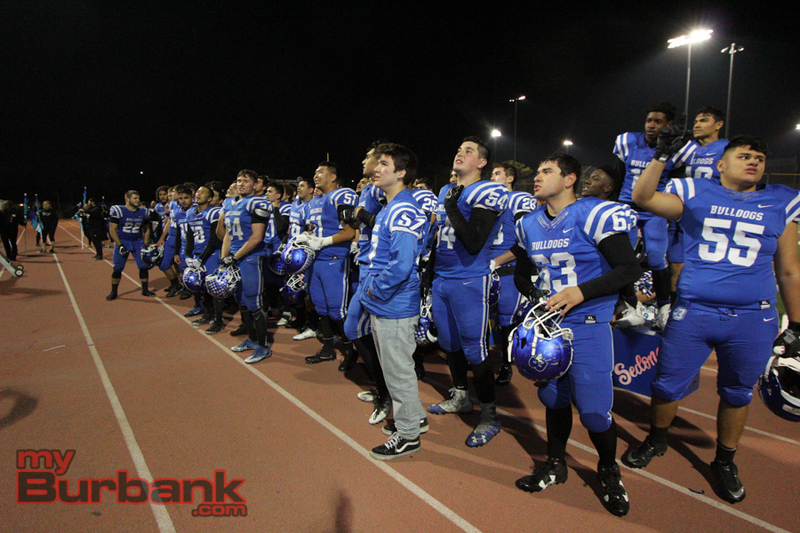 We want to be the first team from Burbank ever to go to the finals and win a championship. 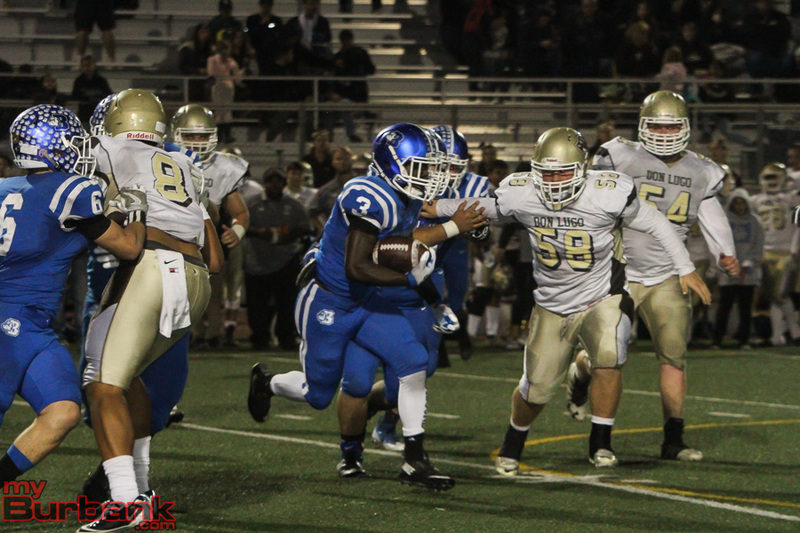 Darnell Williams scored on a seven-yard run with 10:19 left in the third quarter to make 34-0. 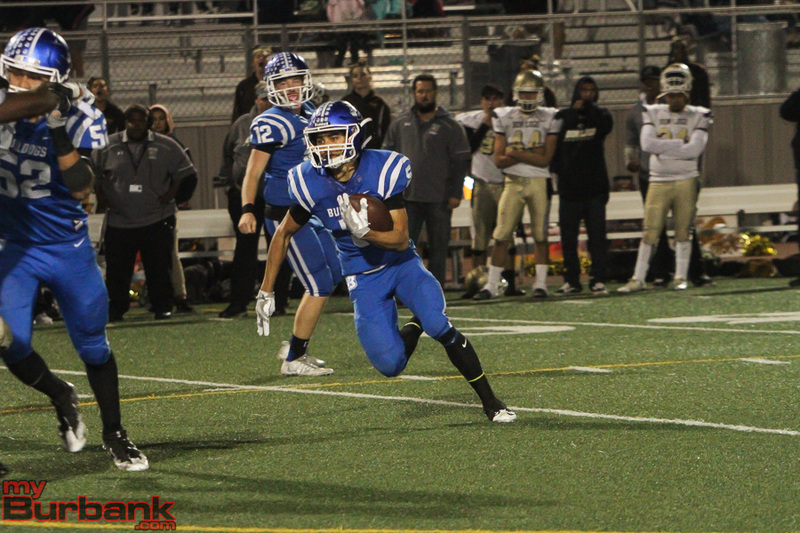 Warren scored his second touchdown, a seven-yard run, with 7:08 left in the third to make it 41-0. 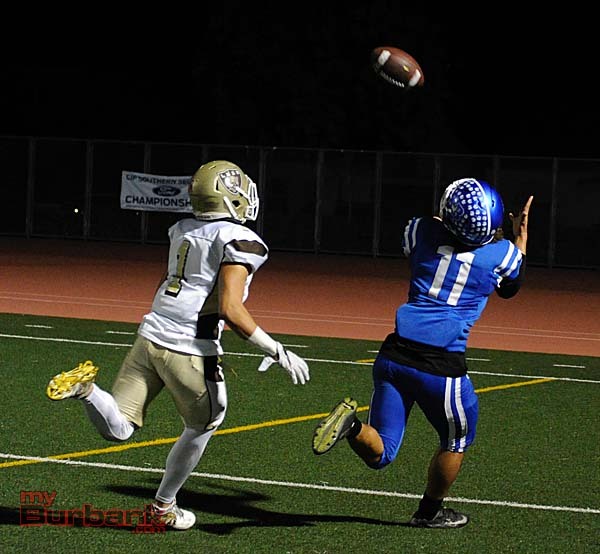 Don Lugo (10-3) scored a pair of touchdowns, before Andrew Roviro kicked a 25-yard field goal with 1:54 to play to cap Burbank’s scoring. 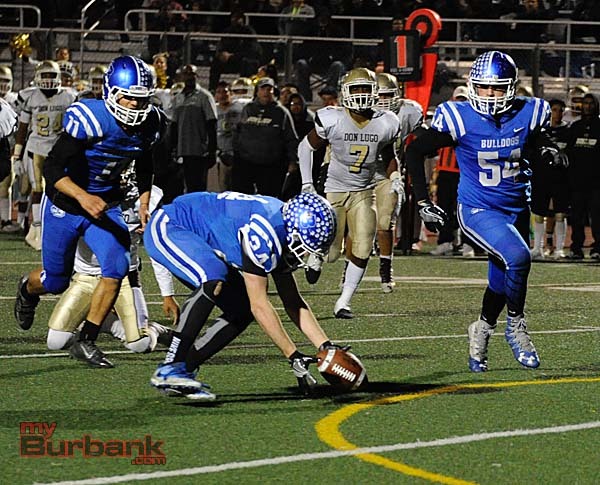 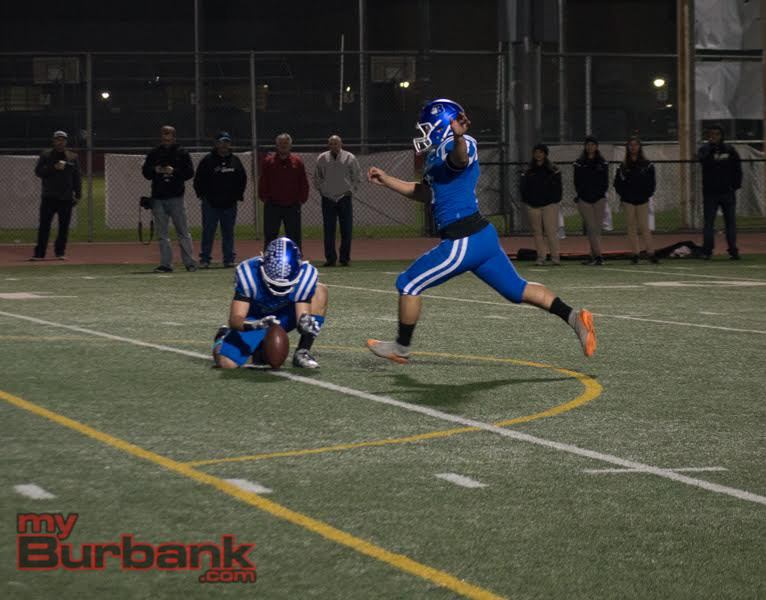 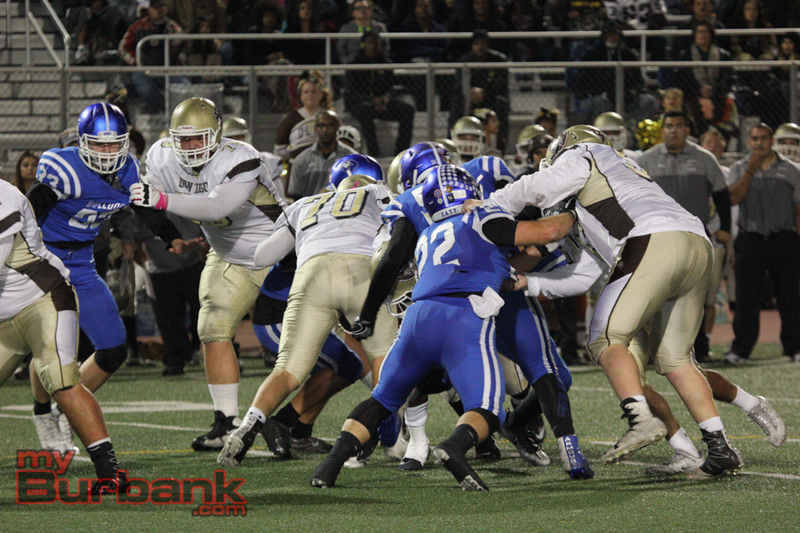 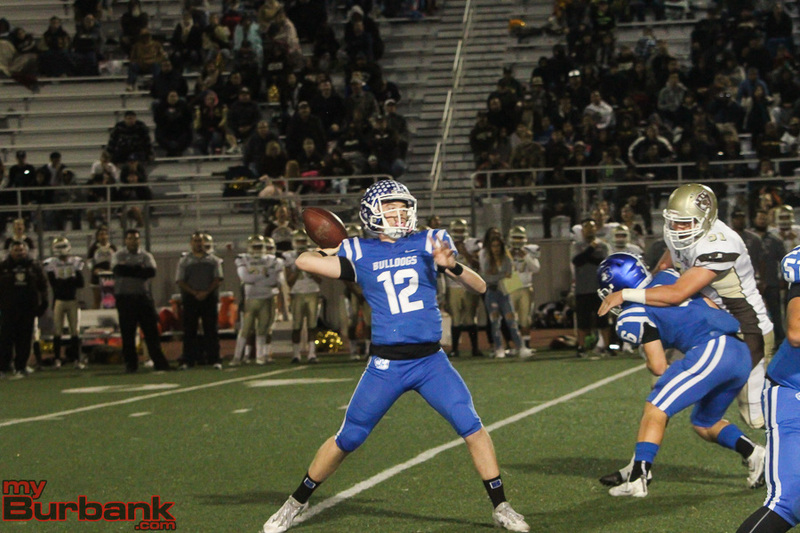 Gibbs acknowledged that Burbank has stepped up its level of play in the playoffs. 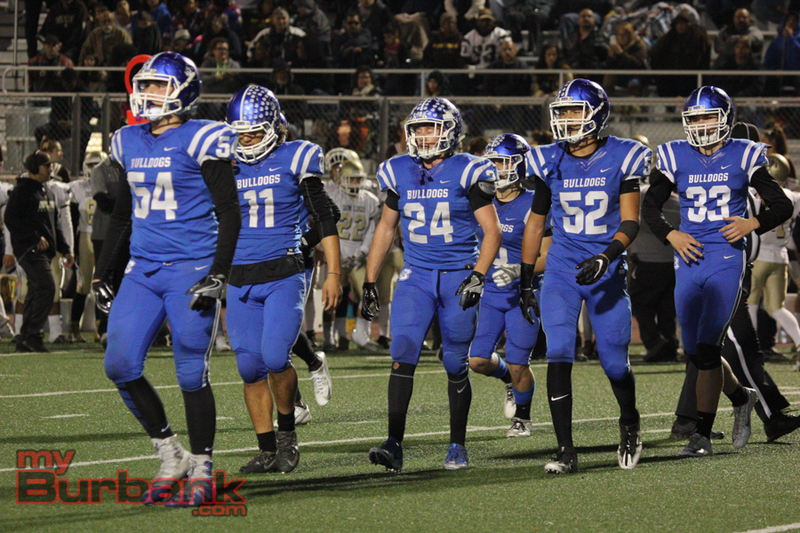 Burbank played once against without star receiver Forest Fajardo and defensive lineman Danny Porras, who are both out with injuries. 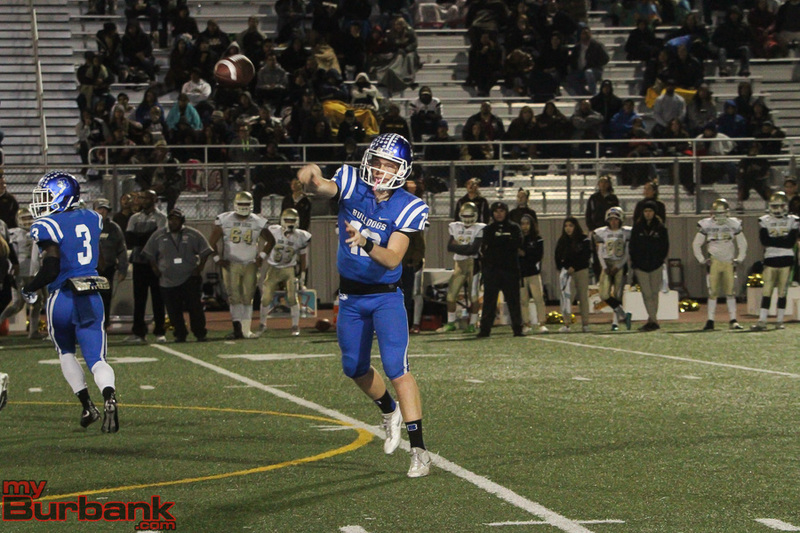 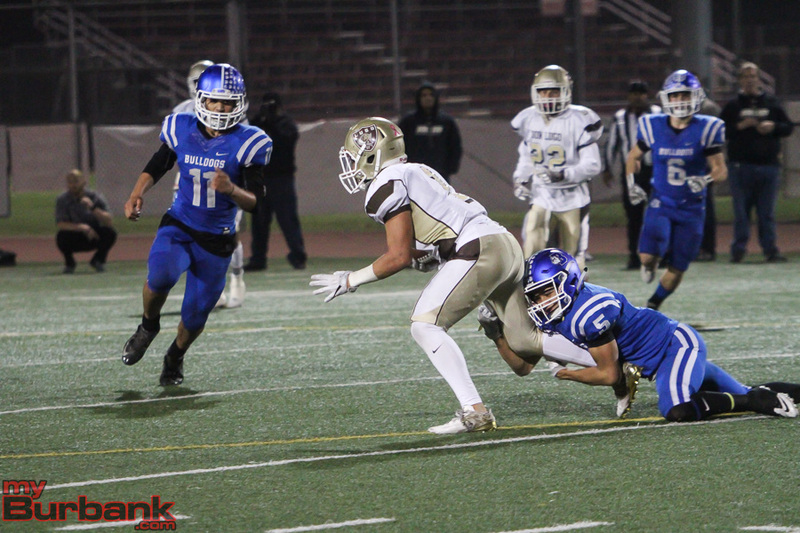 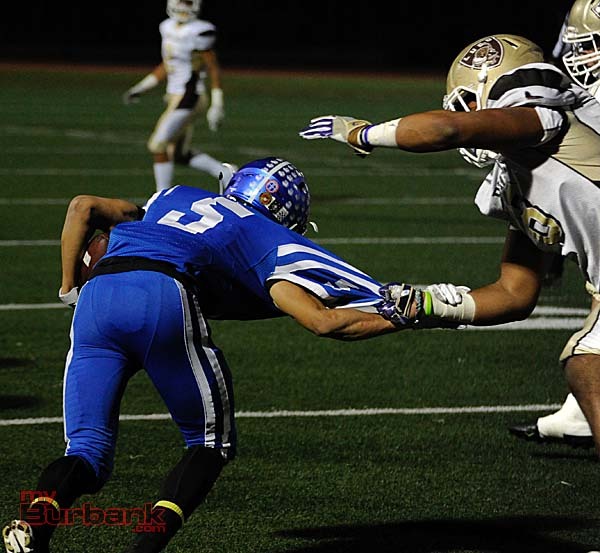 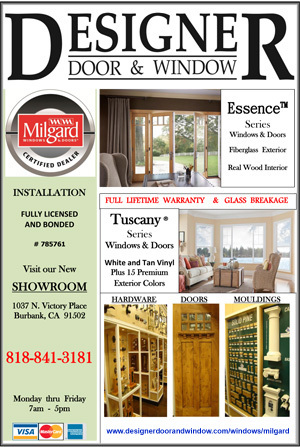 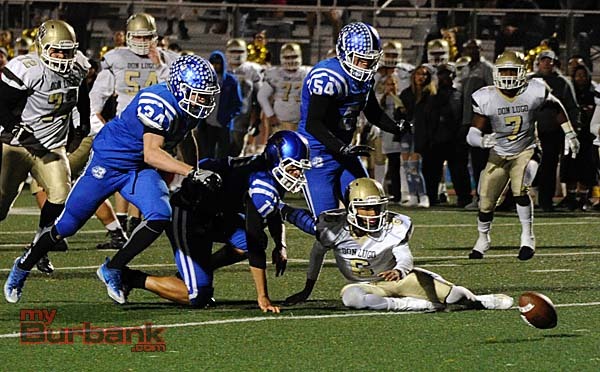 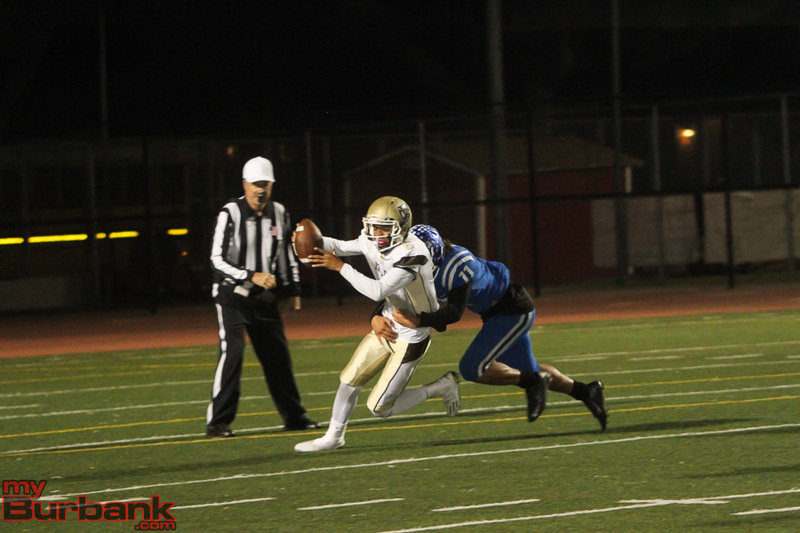 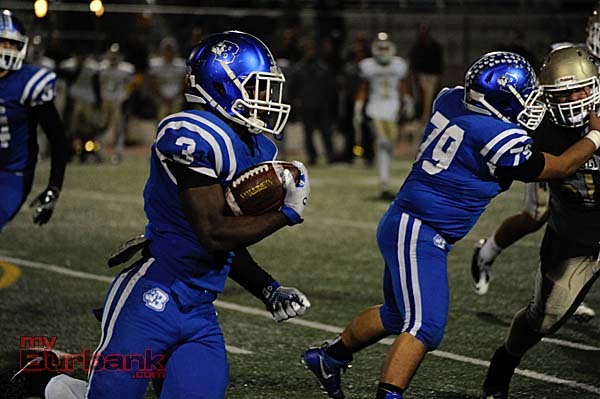 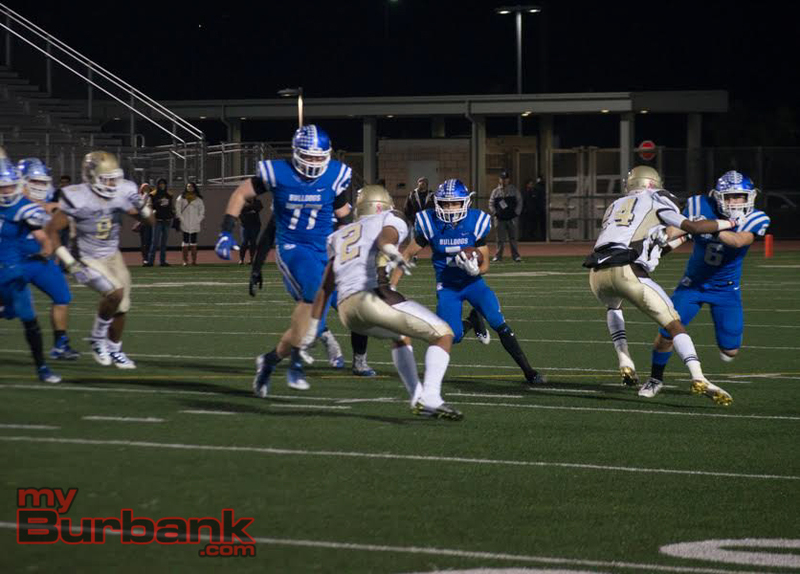 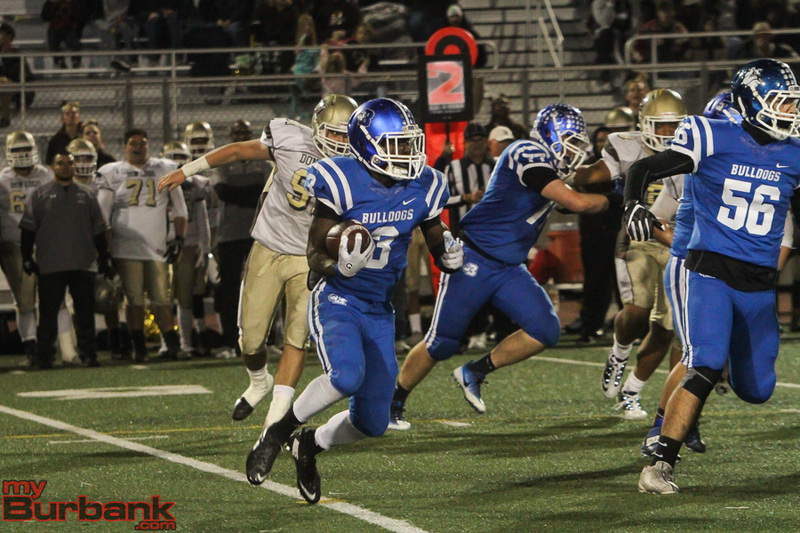 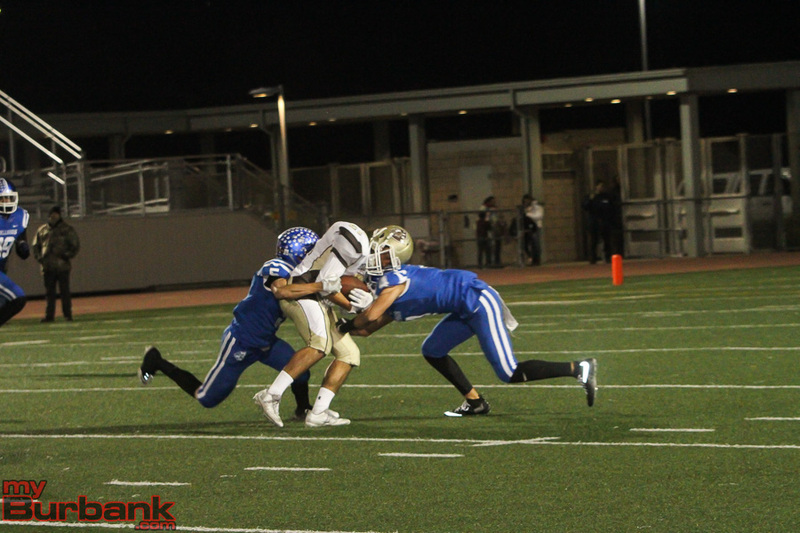 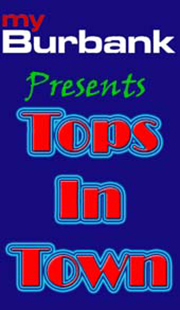 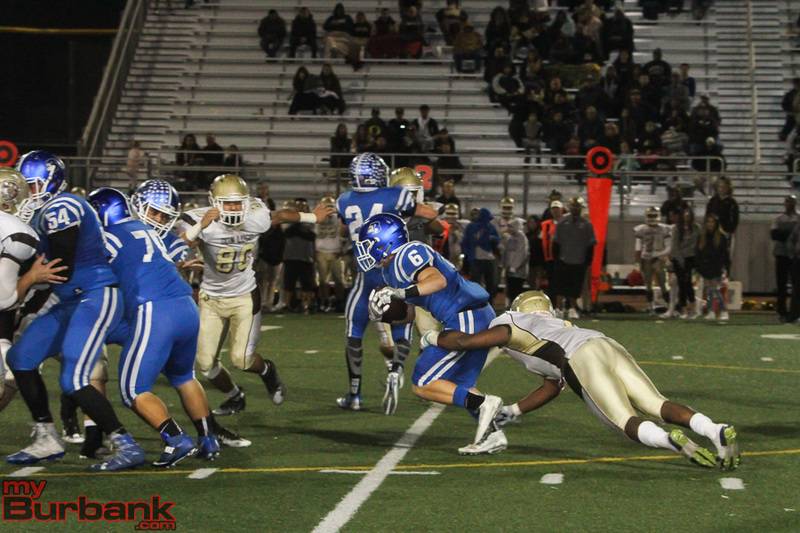 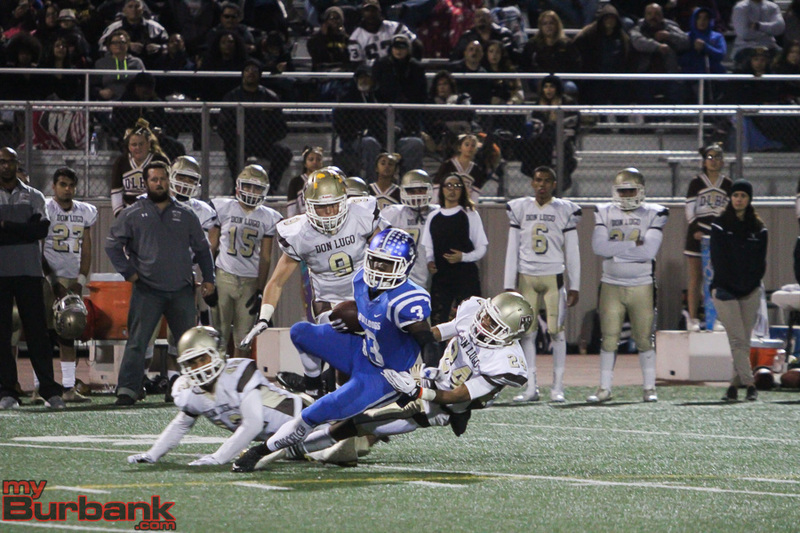 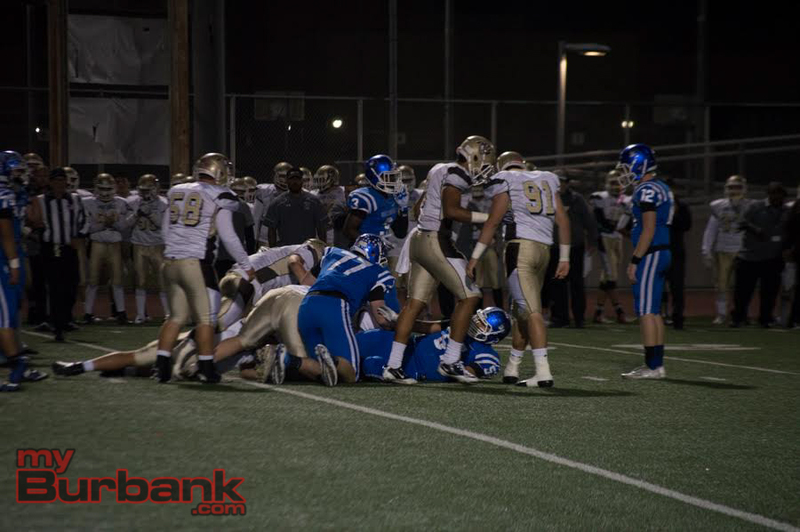 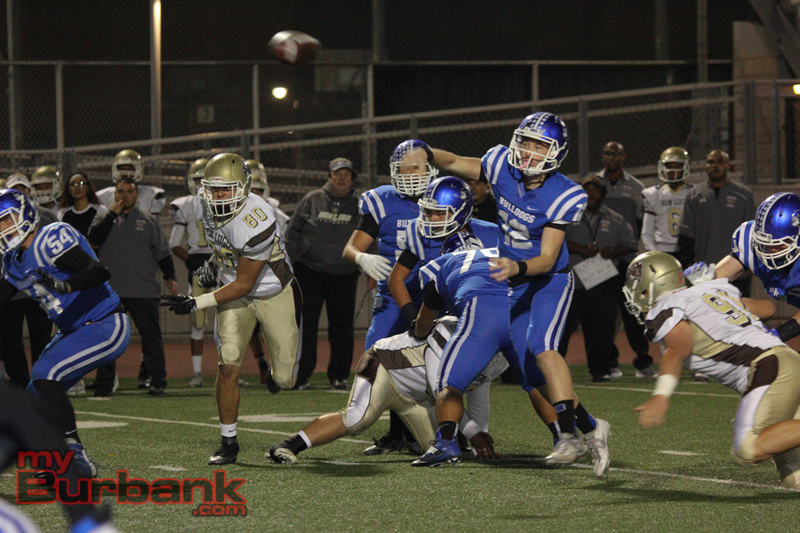 This entry was posted in Football, Sports and tagged Burbank Football, CIF football championship, Darnell Williams, Drew Pendelton, Guy Gibbs, Jake Kelley, Nick Warren on November 26, 2016 by Jim Riggio.